← The Best Baby in All of The Land. Friday, Friday, Friday…..it took you long enough to get here….and you brought March 1st with you! I don’t remember time flying by this fast before having Olivia….I guess let’s not go there right now! I was honestly sitting here, trying to write different reasons why I loved each blog, but I found that my answers were basically all the same. These beautiful Mamas are stylish, have adorable babies that are also stylish, they’re funny, honest, informative, genuine, inspiring and they write from the Heart. All of my favvvvvvorite things! 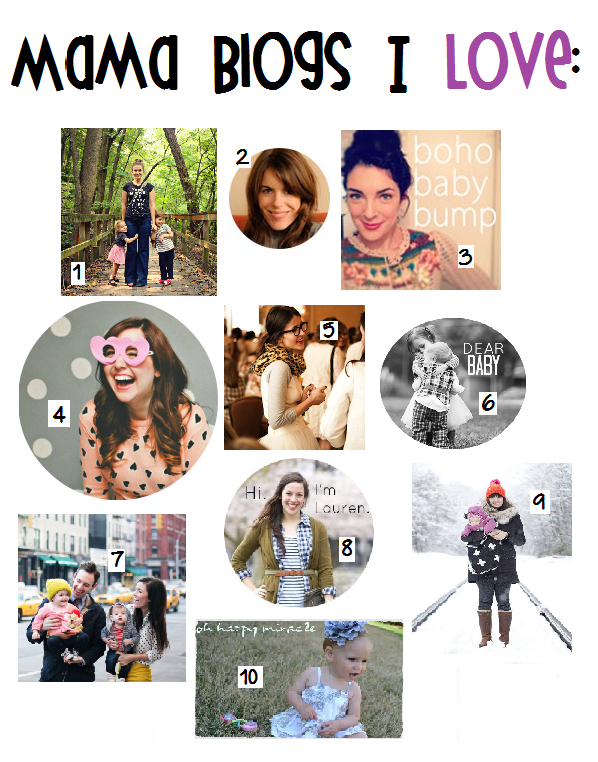 These Mamas are all on my Bloglovin’ feed because I just can’t get enough! I’m sure most of you already have them bookmarked, but if you don’t, well then I have just prepared your weekend reading. You’re welcome!